We Lead the Way ~ In Trash Valet! We at Handy Waste strive to provide residents and Property Managers with unequalled service and convenience, while helping to create a cleaner community. We have implemented several unique employee training programs, including Handy Waste Guaranteed Superior Service Certification. Completion is required for all employees, and was carefully planned to ensure that our on-site staff are trained and prepared to work efficiently, and represent your property professionally, at all times. Apartments and communities that provide only a trash receptacle on site require residents to make continual trips to a dumpster - up and down stairs, through dark hallways and parking lots, in inclement weather, on sometimes slick sidewalks, to a less than desirable area of the property which houses the entire community's dirty trash. Clients of Handy Waste no longer have to deal with any of these inconveniences - they simply place their trash can outside their door, and then bring it in when the trash is gone - that's it! Residents and Property Managers alike appreciate professional trash valet service. If you are in search of professional, affordable community valet trash or affordable apartment trash pickup, please contact us. We also offer other community and apartment services including event clean-up, pet station clean-up, resident trash bag delivery and many others. There are no other community or apartment sanitation companies that have worked harder to provide what Handy Waste does - professional, affordable valet trash service. The owner of our company is an efficiency expert and former micro-economics teacher whose initial goal was to provide the best trash valet service at the best price. The result? Affordable valet waste service for all apartments and communities. While some companies may offer lower pricing by cutting their services or schedules, Handy Waste provides professional, complete 5-night per week apartment trash pickup/community trash pickup as our standard service. We will typically meet or beat any competitor's pricing - while providing the best service in the trash valet service industry. For a free, fast quote for community or apartment garbage service, contact us. We will work within your budget to provide the valuable add-on amenity of community and apartment door garbage pickup, and also customize optional services, to meet your specific needs. 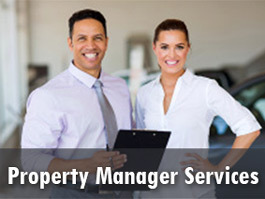 Whether you wish to phase in service or have a specific start date of service, we offer a variety of pricing and service packages to suit your property's situation. The bottom line: we will work with you! 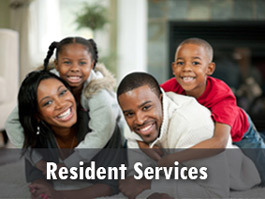 We are available to you and to your residents to handle any service issue quickly and professionally. We have personnel who will come back to your facility for legitimate pick-up issue resolution upon request - any time. Handy Waste provides unequalled community/apartment Property Manager services, including violation reporting and follow-up, alerts of maintenance issues found on-site, malfunctioning property equipment; and superior service to residents as well, including doorstep trash bag delivery. We care about our customers and providing the best doorstep garbage service available. We offer your administration and leadership team opportunities for special perks! Just another reason that Handy Waste has the reputation as the #1 choice for trash valet. Ask our sales representative for more information. We guarantee quality service and customer satisfaction by conducting quality audits and continued training, and providing incentive pay for our employees. Our staff is selected and trained to provide the most professional valet trash service - and we ensure that their work reflects our high standards. Handy Waste keeps our customers happy - both Property Managers and residents. If you are ever unsatisfied with any aspect of our service, we will work hard to fix the problem. We don't just offer the best valet trash service for apartments and communities - we offer the best customer service as well. We look forward to the chance to work for you!